With a single photo of a cake suspended from enchanted vines as inspiration, “A Journey Through The Castle Grounds” was dreamt into reality. 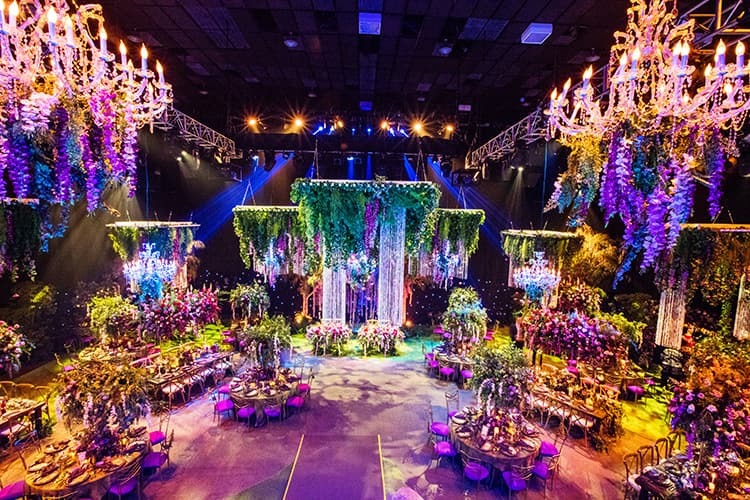 One magical evening, 150 guests entered into a fully immersive wedding experience that transported them into a fairy tale and indulged their senses and imagination. 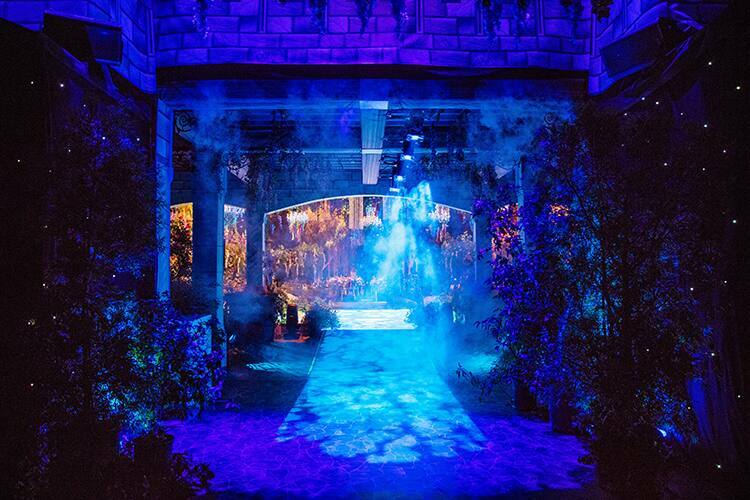 The story unfolds within the mysterious forest, which lies at the edge of the enchanted castle grounds. Set in the clearing of the forest, it appeared as if a grand celebration had been abandoned just before it was about to start. It was almost as if years had passed, and the forest had taken over the party site. Moss and vines were enveloping the table legs and surfaces, and the crumbling former castle walls were overgrown with vines and faux dirt. Towering trees and lichen covered branches lined the perimeter of the clearing and flowers and vines cascaded down from above.